Save on Your Energy Cost. The sun’s energy is free and by going solar you can generate your power using that free energy, thus saving yourself from ever increasing electricity tariffs. Installing a solar panel is not an expenditure, it’s an investment that helps you save hugely on electricity bills and pays for itself over the 25+ year lifetime of your installation. Plus, it can also fetch you a much higher asking price when it comes time to sell your home. Isn’t that a great return? Solar is the energy of the future, and with more people becoming environmentally conscious, the asset value of properties with solar panels is increasing multifold. In fact, you can recoup 100% of your money, thanks to the huge appreciation in the value of a property with solar energy. More Power to Green Energy. Generating solar power does not cause greenhouse gas emissions or any other adverse effect on the environment. You can reduce your carbon footprint significantly by going solar. Harness the Energy of the Sun, with $0 Upfront. SunLed has partnered with Australia’s leading solar and energy-efficient equipment financier, to offer approved applicants the option of financing their solar PV system equipment and installation. Under a SunLed Energy purchase agreement, there is no upfront cost to your business for either the equipment or the installation. You only begin paying for your solar PV system once it has been installed and starts producing power – and you start saving money on your energy bill. As soon as the PV system is installed and it starts generating power, your energy bills will significantly reduce as you begin drawing on the energy produced by your PV system. In most cases, the money you save on your energy bills is greater than the cost of the monthly finance repayments. At the end of your finance term, which is usually no more than 7 years, you own the PV system outright. 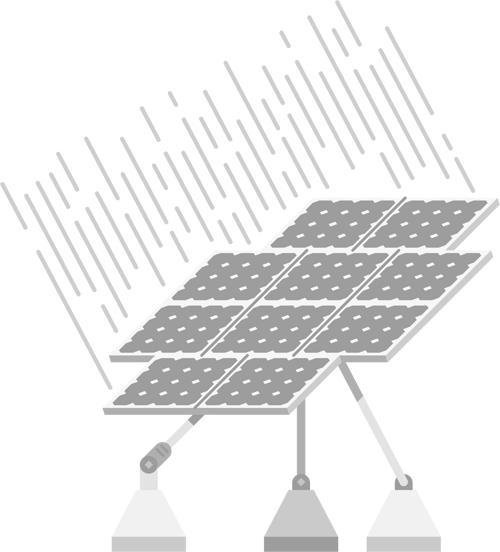 Manufacturers and warehouses are ideal candidates for a solar PV system, due to the power-intensive nature of their day-to-day operations, which generally occurs in daylight hours, when the sun’s ray are in full force. By switching to a SunLed solar PV system, businesses in the manufacturing and agriculture sector can see great reductions in their energy bills from the moment the system is installed, and with no capital outlay under one of our power purchase agreements, the system essentially pays for itself. Whatever your business does, if there’s roof space large enough, we can generally fit a solar PV system to it. It doesn’t matter whether your premises are owned or leased, either; a solar PV system increases the property value, and if need be can be removed and relocated if your business moves premises. Combining solar with LED is best way to increase your energy savings, and protect your business from the rising energy costs. LED lights consume just 20 percent of the equivalent amount of energy used by incandescent and halogen globes, potentially saving your business 90 percent off their lighting bill. Contact the SunLed Energy today to arrange your obligation-free appraisal of your business.